Obituary: Samuel Whitney Rowland, Jr.
Samuel Whitney Rowland, Jr. passed away on May 7 at the age of 95. He is survived by his wife of 58 years, Evelyn (Reed) Rowland, daughters Nancy Rowland and Sandra Rowland and his sister Doris Fisher. He is also survived by daughter in law Mary Lynn Slattery, son in law Michael Weddle and two grandsons; Stephen Weddle and Christopher Weddle. Mr. Rowland lived with his family in Del Mar for 40 years enjoying the ocean view from his home. He moved to Northern California several years ago. He was born in Ocealeta Oklahoma and moved with his parents and siblings in the 1930s to the Central Valley of California. While attending high school in Coalinga, he was a popular baseball player who earned the nickname of “Cowboy” due to his Oklahoma roots. After high school, when the U.S. entered World War II, he enlisted in the Navy and served as a medic attached to the Marines. Deployed to the South Pacific, he served honorably for four years and was involved in various battles. He documented his experiences in the War in an unpublished memoir. Mr. Rowland continued to keep in touch with many of his fellow soliders over the years and in his later years enjoyed participating in his ship’s reunion for the USS Noble each year. He was also active in his professional association, the American Society of Safety Engineers (ASSE). 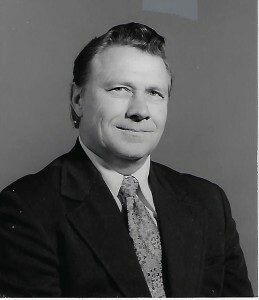 He served not only in the San Diego Chapter but also as a member of the national Board of Directors. In 1991 he was named a Fellow in the ASSE, the highest honor awarded by the association. He was instrumental in developing the local poison prevention program and implementing it throughout San Diego. Mr. Rowland never met a stranger and had a number of lifelong friends with whom he kept in touch over the years. Those who were fortunate to be among his friends will remember him as someone who loved and embraced life to the fullest and had a particular gift for story telling. He was passionate about good food and fine wine, becoming a wine consultant in his retirement. Over the years, friends and family enjoyed his famous wine tasting dinners which were both social occasions and often fundraisers for local causes. Mr. Rowland and his wife, often with other friends, enjoyed several trips to Europe where they toured wineries of France, Germany, Spain and Italy getting to know dozens of winemakers. Mr. Rowland also pursued his artistic talents in oil painting and jewelry making. He was an avid football fan and had season tickets to the San Diego State Aztec games and the Holiday Bowl. There are no services at this time. A memorial service may be scheduled at a later date.